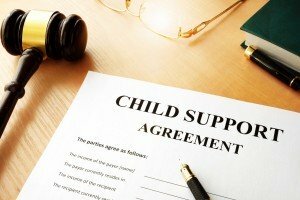 In many divorces, child support is the most contentious topic. From determining who pays child support, to determining the amount, to whether or not it can be modified later down the road – things can get complicated, and it’s a good idea to have an attorney on your side. You can find out the amount of child support to which you’re entitled by completing the Tennessee Child Support Guidelines worksheet. However, you will need your ex-spouse’s financial information. Typically, the minimum amount of child support paid by a non-custodial parent is $80/month. If that parent has insufficient means, the court could waive them from paying child support completely. However, that doesn’t mean a parent can just quit their job to avoid paying support. If a parent is unemployed, the court may order them to search for a job and report back to the court on their progress. What if the non-custodial parent has other children? If your child’s parent has other children, a parent may receive less child support. The court must consider any other child support the parent pays before making any decisions on the amount of support for your child. To find out how your ex-spouse’s other child support orders will affect your own child support, subtract that amount from your ex’s income when filling out the Child Support Guidelines worksheet. Your divorce attorney can assist you with the worksheet if you have any questions or concerns. Can I get the child support order changed? Here in Tennessee, child support orders can be modified if there’s what’s called a “significant variance” between the original amount of support and the proposed amount that would be paid under a modified order. Tennessee defines a significant variance as at least a 15% change. You must submit a formal request to the court to modify a child support order – otherwise it is not enforceable. No changes happen automatically. Determining and modifying child support can be a complicated process, requiring many documents and paperwork. And, if your divorce has been particularly contentious, you may need assistance collecting all the information you need. Your attorney can help you with these and other post-divorce issues. At the Law Offices of LaFevor & Slaughter, our child support attorneys are skilled and experienced in all aspects of family law. We’re here to help you through the entire divorce process, or answer any questions you have along the way. Call us at 865.272.4454 or complete our contact form to schedule a consultation with a Knoxville child support lawyer today.